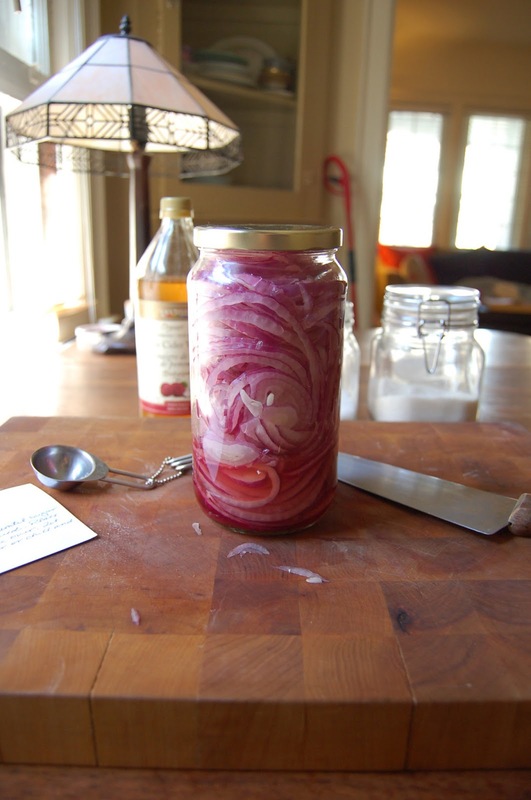 You are here: Home / canning / Perfect Pickled Red Onions and Why I need them. I have been on a quest. I have been so in love with my new spiral slicer that I have been on a creative high finding reasons to use it almost every day and inventing dishes or variations of old classics just to have another reason to use it. Well I have done it this time…. .and I had 5 kids taste it and they all loved it…….but this post isn’t about that recipe but about something I had to make for that recipe…..you’ll have to wait for the good stuff…..by making this stuff first. 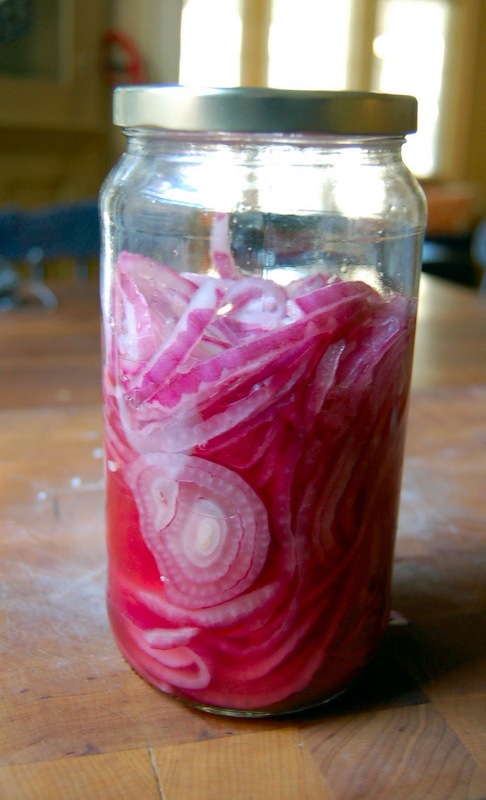 I have been working on this one recipe for a while now and something was missing…..it needed something sharp to cut through the unctuousness of the oil and it couldn’t be more salt…..it needed onion but not a raw onion flavour and it needed vinegar….it needed pickled onions. I sifted through what was probably 25 different pickled onion recipes. It needed to be vinegary but not super sour if that makes sense. It couldn’t have a dill taste or any other heavily flavoured pickling spices and I had to pay attention to the type of vinegar…because they all taste so different. So this is what I came up with and it was so simple it feels stupid that it took me as long as it did.